We're working closely with local communities and forming partnerships to provide a welcome for those seeking sanctuary in Brighton & Hove. Here are some of the ways that you can help. This is something we can all do, talk to the parents of the new child at school pickup, find out more about the different communities in your neighbourhood, smile at a stranger, offer to give directions to someone who is looking a bit lost. Calling our Brighton & Hove foster carers. 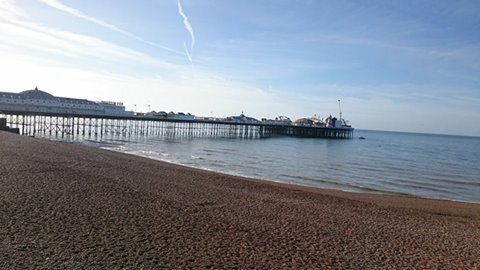 Yet another summer day here in Brighton but we have planned ahead and already booked October half term activities including Tully's Farm Shocktober Fest! Call our Fostering Support Team and book now on 01273 295444. We are still working on the carers-only section of the site. Your old username and password will not work on the new site - we will be in touch when this section of the site is ready and will let you know what your new username and password will be. Please get in touch with on 01273 295444 or fosteringrecruitment@brighton-hove.gov.uk if you need to access any information that was in the carers-only section of the old site. We are pleased to announce that the new fostering site is now available. If you are new fostering, there is plenty of new information available about fostering and the Brighton & Hove fostering team. If you are an existing Brighton & Hove foster carer, we have a new and improved section for our carers. The old usernames and passwords won't work and we will be in touch soon with a new username and password.